Sir Alex Ferguson, Arsene Wenger, and Giovanni Trapattoni are few of the worlds greatest managers ever to grace the game of football, and the honours they won at the club level is remarkable. But this job is considered to be the toughest of all in the game. The people on the sideline can only come up with ideas, but it depends upon the players on the field to execute the plans. Proper execution leads to desirable results and players are credited for it. But anything other than that, the manager gets to feel the burn. However, sometimes it is the other way around when the individual brilliance from particular players saves the manager from blushes. Winning league titles gives a manager a worldwide recognition. But something epic happened on 6th March 2019 which took the world by storm and the debate regarding honours vs performance was again brought in the light. Manchester United overturned a two-goal deficit from home fixture and eliminated PSG from the Champions League, and It happened for the first time in the competitions' history. Ole Gunnar Solskjaer not only defeated a top European elite team at there home but was able to do that with a crocked Manchester United side. Some even went on to say that the moment was equivalent to Moscow, 2008. The fans are all behind Ole, but the football pundits have mixed reaction to it. For some, the performance was enough to give Ole the commendation he rightly deserves, and for others, a trophy would be needed to praise his credentials. The CV shows trophies won but history books reveal incidents that happen once in a lifetime. So the real question is to find out the basis for rating a football manager. Winning a tournament is not as easy as it sounds. And especially in today's era where match schedules are so congested, and clubs are taking part in at least two tournaments at the same time. Squad rotation is an important decision taken by the manager to maintain the fitness level of the players. But when a team is full of big-name players, the job becomes a little bit easier. There is always a like for like replacement available in the squad, so the manager doesn't have to make a drastic change with the formation when a first team player is injured. The elite teams are always at an advantage against teams not backed up with the huge budget and talented players. However, matches versus the other elite teams from the same league or in European competitions- Champions League and Europa League are not that easy to manage, and the manager gets to prove his real worth in these kinds of games. Zinedine Zidane is a legend of the game but managerially inexperienced in comparison to a lot of other managers. However, he boasts a managerial CV which most managers can only aspire to achieve. In the two and a half year reign as a manager of Real Madrid, he won every title possible as a head coach of a Spanish football club including three consecutive Champions League titles, a feat never achieved before in the history of club football. But the job becomes easy when you have world class players in your squad, and a flash of individual brilliance from any one of them would have been enough to take them over the line. 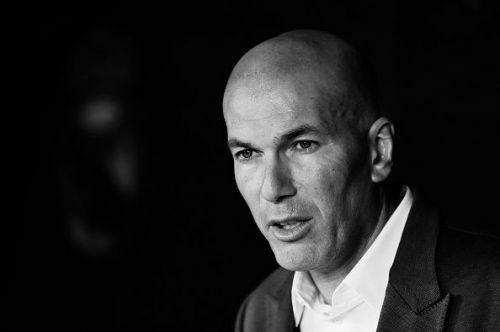 Just like Zidane, many other managers had a chance to manage an elite European football club without adequate managerial experience, but none achieved the accolades on a similar level. So he is undoubtedly a great manager but is he one of the greatest is still a question that needs an answer. 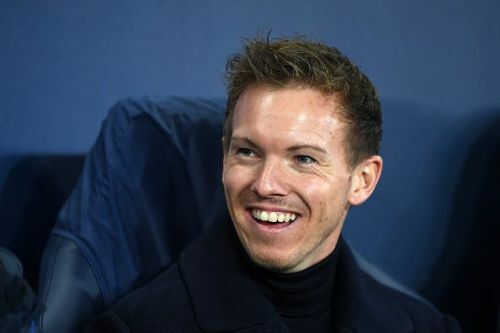 Julian Nagelsmann and Claudio Ranieri have one thing in common between them. Both of them head coached their teams to achieve European qualifications, but what separates them from the other coaches is that they did it against the odds. Elite teams are the teams in different leagues which are expected to ultimately fight for the league title and in doing so achieve qualification for European competition. But it is nothing short of a miracle if a team other than these elite teams goes on to fulfil their European dreams. Nagelsmann and Ranieri were able to accomplish European qualification with TSG 1899 Hoffenheim and Leicester City FC respectively. The Premier League season of 2015/16 was one for the history books. Leicester City appointed Ranieri as their head coach before the start of the season and went on to win the league title. What makes it even more mesmerising is that the same team was inches close to relegation in the previous season. So the transition from such a low to possibly a once in a lifetime high of winning the league title and also qualifying for Champions League for the first time in their history, and that too with the same squad is breathtaking. Hoffenheim gave the role of the head coach to Nagelsmann in the 2016/17 season. And it was the start of the era which eventually brought the side to the grandest stage of them all, the Champions League. Nagelsmann in his first season with Hoffenheim earned a fourth-place finish in the Bundesliga, but they were eventually knocked out in the playoffs and were unable to reach the group stage of the Champion League. However, things were on the rise for the German club, and finally, they ended up on 3rd position in the 2017/18 season of the Bundesliga, which meant an automatic qualification to the group stage of the Champions League. Nagelsmann has already been announced to manage RB Leipzig from the 2019-20 season. 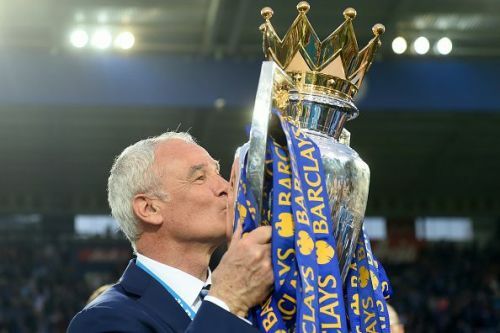 On another hand, Ranieri has returned to Roma after eight years and has a contract until the end of the season but has an option for extending it for one more. So they were well rewarded for their historical achievements, but it will be hard to surpass the magnificent work they did in the past. Relegation is the biggest downfall a football manager can face in his career. 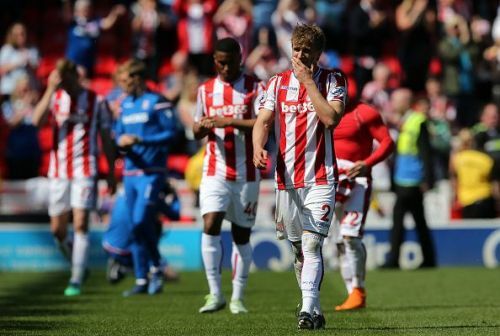 It is so demeaning that managers find it very hard to get a new club after the sacking. Managers can overcome the failure of not winning a title, but gaining promotion back to the league after getting relegated is a tough ask. So in a way, the end of the season relegation battle is tenser than the title race. 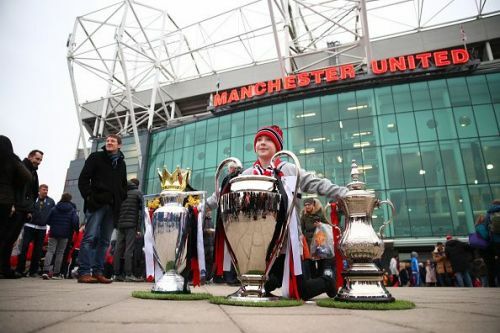 Clubs at the beginning of the season has title-winning motivations. But as the season comes to an end, some teams are closer to the bottom than the top. It is at that very moment when they realize that they have a battle for survival on their hands and need to make some changes. Change of management is the first decision that the board takes. 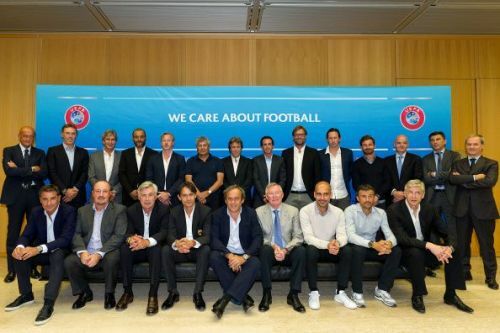 Usually, the club appoints assistant coaches as the new interim managers, but sometimes managers of notable reputation are given the job. However, not a lot of managers in the world have a prolific record or experience of this situation. 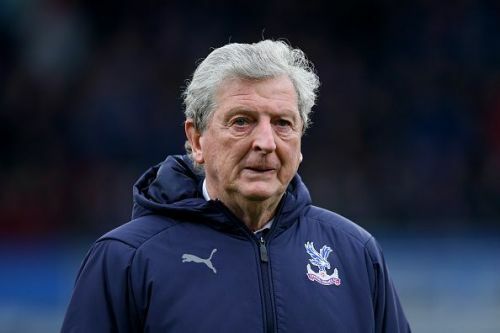 Roy Hodgson is currently managing Crystal Palace in the Premier League, but not long ago he was the manager of the English national side. So the opportunities that he got shows the ability he has. But apart from coaching these elite teams, he has also managed teams in dire need of revival, and there were two such incidents where Hodgson proved to be a great survivor. The first one was when he saved Fulham from relegation in the 2007/08 season of the Premier League. He took over from Lawrie Sanchez after a bad start to the campaign, and the situation was so bad that they were just 20 minutes away from being sent to the Championship. However, things took a massive turn in the last 20 minutes against Manchester City and also for the rest of that season. In 2011, West Bromwich Albion replaced Roberto Di Matteo with Roy Hodgson after the mid-season crisis. When he took charge, the side was languishing 17th on the league table, but the 11th place finish at the end of season shows how things bettered under the new manager for West Brownwich. The stats of Hodgson are impressive, but when there is a debate about the master of survival, no manager has a better record than Sam Allardyce. He not once, but thrice managed to save the clubs from relegation. In 2017, Allardyce took over from Alan Pardew at Crystal Palace when they were languishing 17th on the league table. And things were not easy at the beginning with just one solitary win in first eight league games. But victories at the later part of the season and especially against the big three- Chelsea, Arsenal and Liverpool changed things massively for the Eagles. Sunderland was second from the bottom in the 2015/16 season of the Premier League when Allardyce was appointed. There were some initial struggles, but the mid-season transfer window brought the freshness needed leading to securing the top-flight status. Big Sam arrived at Blackburn Rovers in December 2008, and the club was in much need of a change in form with just three wins in 17 matches. The turnaround under him was massive which included a nine-game undefeated streak which helped them to a 16th place finish for the season. 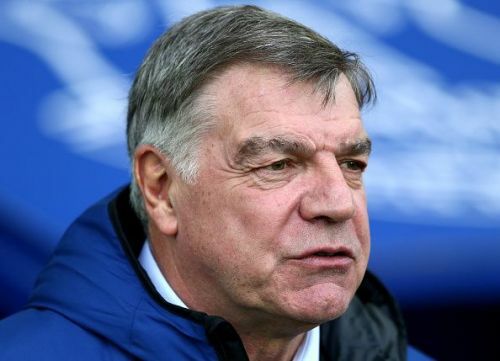 The success rate for both Allardyce and Hodgson is high with the teams in the bottom half, and there was a constant struggle for them in managing the elite teams. However, it is also hard to believe that managers like Pep Guardiola or Luis Enrique would have done a better job with these struggling teams. Different clubs have different goals. For some, it is about supremacy and for some, it is just about holding their ground and survive. So the real question is that is it right to judge each manager on the same criteria?